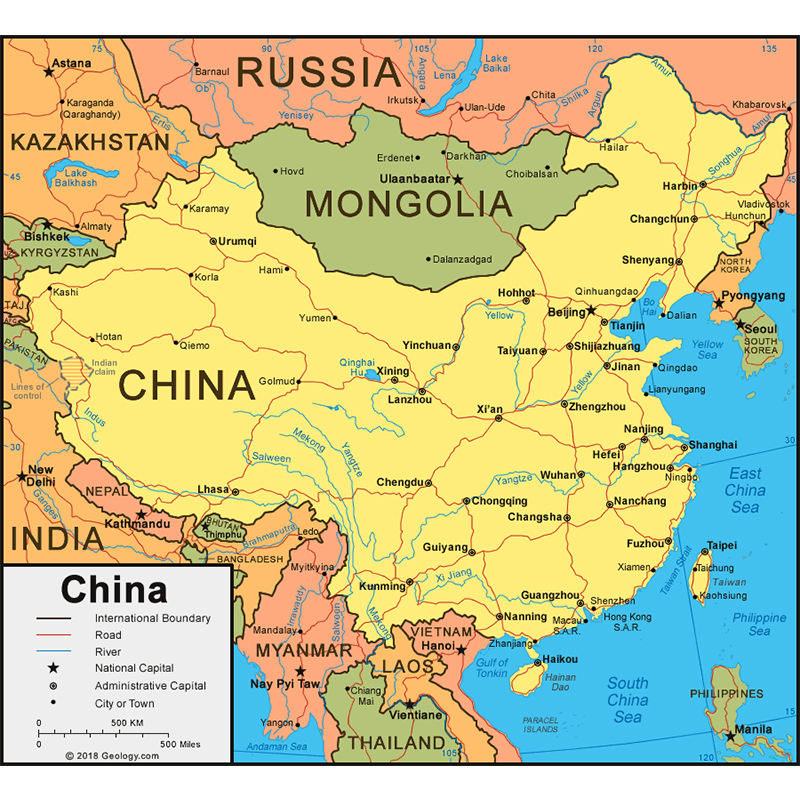 China is a vast country situated at the eastern part of Eurasia and the western coast of the Pacific Ocean. Covering a land area of 3,706,581 square miles (9,600,000 square kilometers), China is the third largest of the world, inferior to Russia and Canada. It is 3,231 miles long from east to west and 3,417.5 miles long from north to south. With the entire territory shaping like a rooster, China's northernmost end reaches Mohe in Heilongjiang Province; the southernmost is at Zengmu Ansha in Nansha Islands, the easternmost at conjunction of Heilongjiang River and the Wusuli River, while the western at the Pamirs.